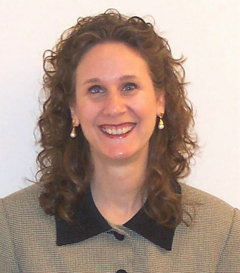 Lisa Franke is a workplace analyst with over 25 years of experience tracking and analyzing human resources and employment law trends. She is the editor of the company’s HR Compliance Library and the author of the book HR Networking: Performance Management. Other publication credits include: CCH Law, Explanation and Analysis of the Patient Protection and Affordable Care Act; Basic Employment Law Manual for Managers and Supervisors; HR How-To: Strategy; U.S. Master Human Resources Guide; U.S. Master Wage-Hour Guide; Sexual Harassment Prevention Training for Managers and Supervisors; and law and explanation books covering Family and Medical Leave Act and Fair Labor Standards Act regulations. Lisa coordinated development of the company’s State and Federal Employment Law Compare tool and also authored HR e-learning modules for employees and managers. She earned her Bachelor of Business Administration (BBA) degree with majors in management and marketing, and her Master of Science in Industrial Relations (MSIR) degree with concentrations in HR management and unions/collective bargaining, from the University of Wisconsin-Madison. Prior to joining Wolters Kluwer Legal & Regulatory U.S., Lisa held a series of human resources positions involving compensation, performance management, staffing, and employee relations.